Interesting - it sounds like I'm a little older than you (I was in college in the early 90s), but I also gave up Clancy while reading Bear and the Dragon - I didn't finish it, and have not read a word of his work since. How cool -- I started going through Patriot Games again and read a big chunk today before work. Since that was technically the first Ryan novel, I thought I'd start there and do Red October next. As a writer it's impossible for me not to cringe at many of Clancy's bad habits, and whenever a writer tells me he was one of their influences, I shudder. Bad habits are easily passed. Too many italicized thoughts, head-hopping, and repeated points, are driving me to the bughouse. But I have to admit that I can't put PG down, because Clancy actually has a very good narrative drive that keeps you going over those bumps, and it doesn't hurt that Jack Ryan's self-depreciating thoughts make him a little more rounded when they're juxtaposed with his CIA analyst bad-assery. 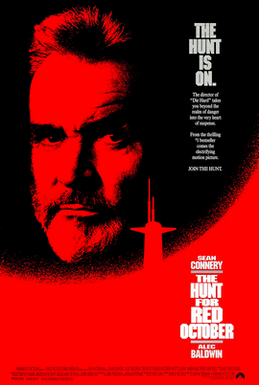 Anyway it's fun to revisit these titles after so many years (I started with Clancy a little earlier than you, so more years for me...) and I'm looking forward to Red October. It'd be interesting to compare Clancy's writing style with George R. R. Martin, because both like these massive, door-stopper novels where you jump to a new character every chapter (more, with Clancy). They are both very detail-driven authors, who weave very intricate plots, but their styles don't exactly make for easy reading. I was about to go for PG as well, Brian, but I got sucked into RED STORM RISING instead, as that cold-war feel of THFRO just passes better into RSR, but PG will be next on my list. I've yet to read Red Storm Rising so maybe I should rectify that this time around.